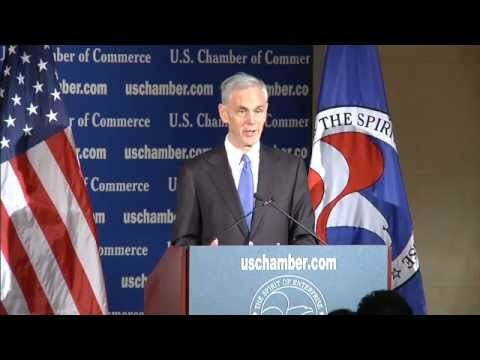 As part of the Obama administration’s ongoing efforts to spur job growth, Commerce Secretary John Bryson will lay out his priorities for the Department, including initiatives related to trade, manufacturing and increasing investment in the United States. An experienced private sector leader, Bryson led Edison International as Chairman and CEO for 18 years. He also served on the boards of Boeing and Disney and as a senior adviser for the global private equity firm KKR. In little more than a month in office, Secretary Bryson has led trade talks with China to help level the playing field for American companies and workers and has reached out to numerous CEOs, including meeting with the Steering Committee of the President’s Advanced Manufacturing Partnership. Read his complete remarks on how American businesses can Build it Here. Sell it Everywhere.